Our standard bouquet series delivers modern balloon art as event decorations for any and all occasions. For pick up or delivery. Please note that due to the variety of options available, we do not stock all specialty messages – please allow 5 days for certain items. Browse our bouquets photo gallery. All bouquets include one or more foil “message” balloons and others are top quality, helium inflated, fun balloons that can’t be found at your local florist or gift shop. Choose from four basic sizes at affordable prices allowing you to offer the perfect and unique gift. Custom arrangements and personalized gift weights also available. Balloon Columns, Arches, Canopies, Columns, Dance Floor Staging, etc. Add flair to any event, indoors or outdoors. Our custom built columns, arches, and other decorations are the perfect way to brighten up any environment. We offer a large variety of designs and themes for your wedding, dance party or corporate event decorations. If you can dream it, we can build it! Take a look through our photo gallery for ideas. While it’s by no means comprehensive of what we can build for you, it should give you some ideas. Call us to talk about your event and we’ll suggest the perfect decor and make it even more special. The most spectacular way to use balloons! Balloons are contained in a specially designed netted bag, mounted on the ceiling and are released at a precise moment creating an effect your guests are not about to forget! Most effective if the ceiling is at least 20 feet high – the higher the more dramatic the effect. All balloon nozzles cut to minimize being caught in the net. More information about our spectacular balloon drops! 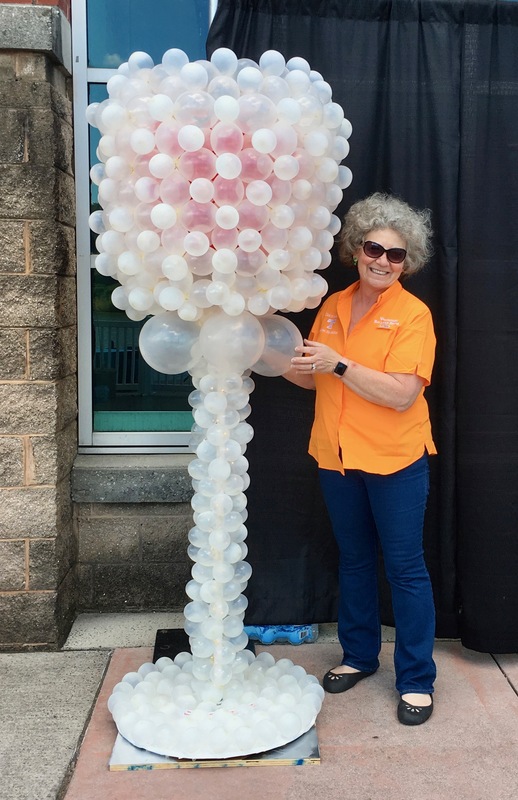 Here’s a neat way to take the hassle out of sprucing up your next event – let Volunteer Balloon Decor design and deliver your event decorations! Party bundles are the simplest way to decorate! 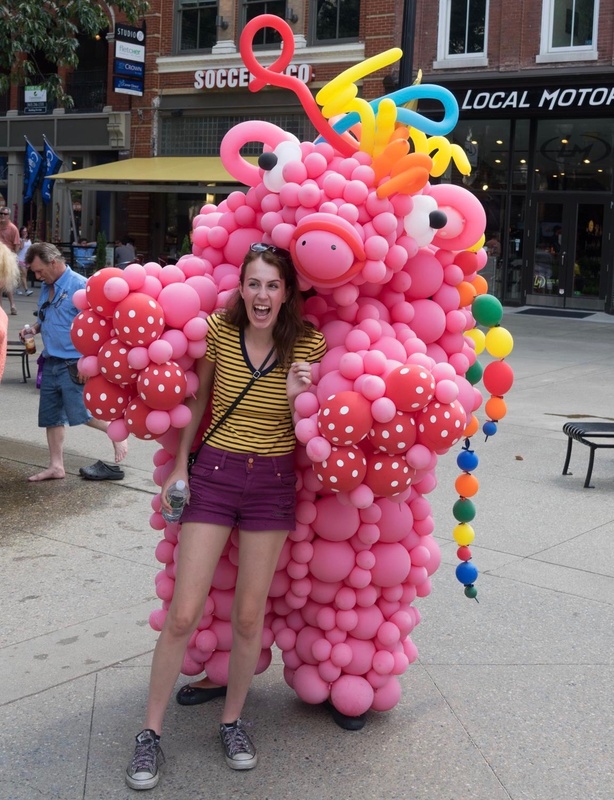 We’ll show up with all the material needed, including helium so we can transform those balloons into creative works of art, sure to wow your guests! 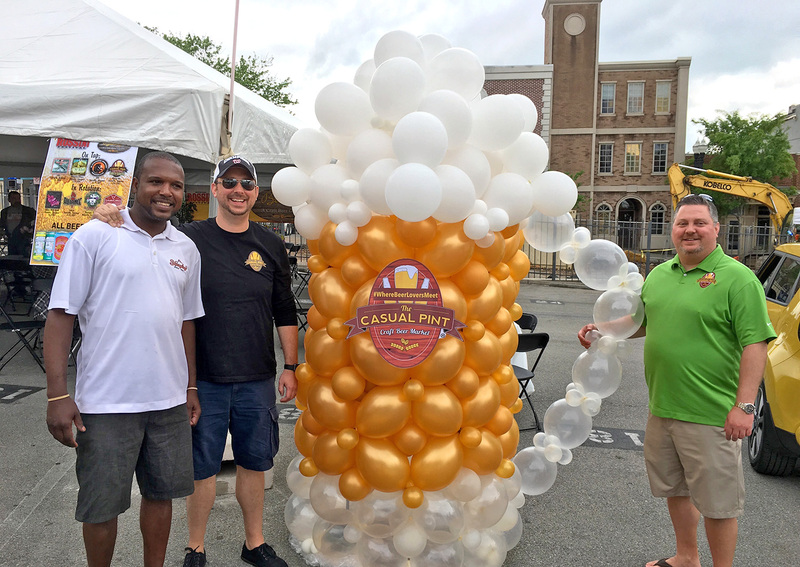 Allow our team of professional balloon artists to add a magical touch to your event whether your celebration is at home, ballroom, convention center, restaurant, etc. Perfect for building table centerpieces or floor bouquets, small table arches and the always elegant string of pearls arch! We do all the work and you get all the credit for a spectacular event! Take the stress out of creating a memorable moment and call us now. Simply tell us what bundle you’d like, what colors, when and where the balloons are needed and we’ll take care of making it happen. Satisfaction guaranteed! More information about our party bundles.